Ashlor will be given his chance at Group One level in the Winterbottom Stakes in Perth. Wangaratta trainer Dan McCarthy is looking forward to having his first runner in a Group One race with stable star Ashlor set for the $1 million Winterbottom Stakes in Perth. McCarthy has had Saturday’s Winterbottom (1200m) at Ascot in mind for Ashlor for months and a win in a 955m open handicap at Moonee Valley last month confirmed plans to head west. Ashlor arrived in Perth a week ago after a flight from Melbourne and is one of six horses trained in the eastern states among the 15-horse Winterbottom field with the barrier draw to be held on Tuesday. Defending champion Viddora, Malaguerra, Voodoo Lad, Runson and I’ll Have A Bit are the other eastern states visitors in the weight-for-age sprint. 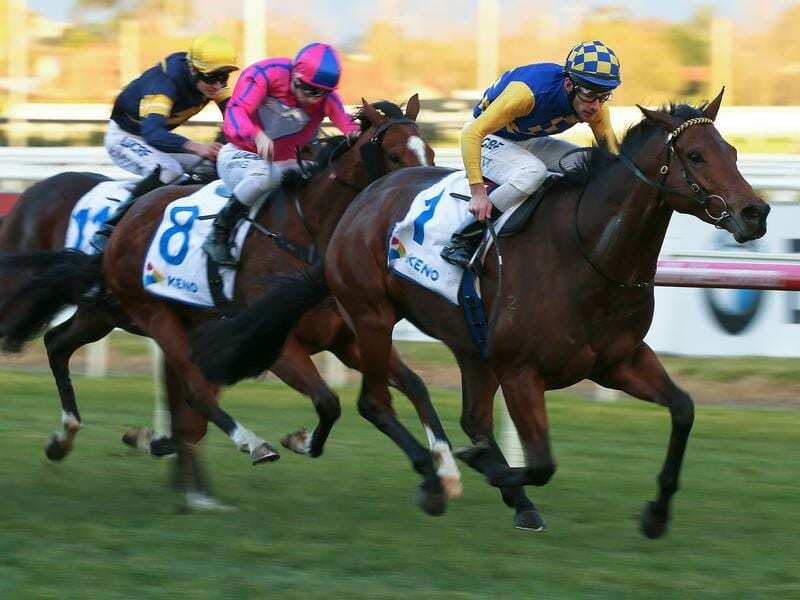 The Lloyd Kennewell-trained Viddora was the $3 favourite on Monday with Ashlor at $15. “I just think he’s earned the right to have a crack at it,” McCarthy said. “We gave him a nice little freshen-up after he raced at Moonee Valley in August and we thought that if he came back and could win quickly we would have a crack at this second-up. “The 955 metres was probably not his go but his 1200-metre form is exceptional. To do that first-up was a really good effort and we think he has gone ahead since that run. “We just thought it’s worth having a crack at it. “We’re well aware we are throwing him in the deep end but we also think he can run in the types of races that are on in Melbourne at the moment for the rest of his life. Ashlor has nine wins from 22 starts and has only been tried in Group class races twice, finishing fifth in the Euclase Stakes as a three-year-old and fourth in the Monash Stakes in July. McCarthy is hoping for a good barrier draw. “That will make a massive difference to his chances, how he draws,” he said.